Properly caring for paving stones is essential for keeping their appearance fresh and beautiful. Neglected stones can leave a negative first impression on your guests and those passing by your home. After taking the time to select the best stones available for your property, you most likely will want to showcase your stunning walkway, driveway or patio. The best way to keep the finishes looking flawless is to follow a regular maintenance schedule. A paved pathway requires little care and is much easier to maintain than a deck or full-sized driveway. There are several different varieties of stones to choose from, and each type requires a different level of care. This is because some materials are more susceptible to staining, fading, cracking and collection of debris. Once you understand the difference between the finish, shape and paving material of each stone, you can take the steps needed to keep your pathway in good condition. 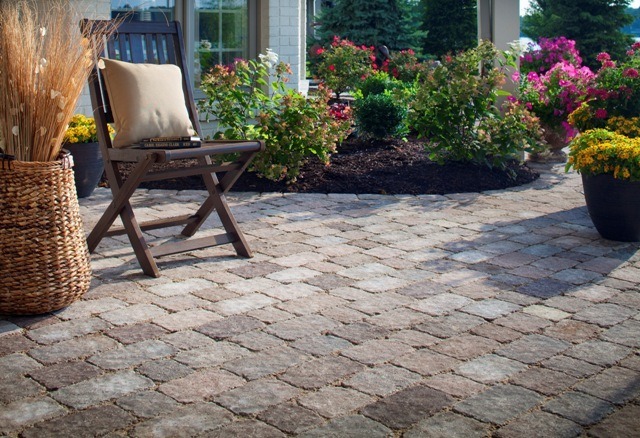 One of the first steps in paver maintenance is to regularly clear the area of dirt and debris. You can use a stiff push broom to remove any loose materials on the pavers. This will prevent the surface of the stones from being scratched or damaged. You can also use a leaf blower to eliminate any surface dirt. Blowers are ideal for removing debris from between the joints of the stones as well. To remove minor stains from pavers, rinse the surface of the stones with a garden hose. For more severe stains, brush the soiled area with mild, soapy water. You can also use one part vinegar mixed with ten parts warm water. Soak the area for 10 to 15 minutes, and rinse the surface with clean water. You should clean the entire surface of your pathway with warm, soapy water at least twice a year. Stones with oil stains should be cleaned immediately with a solution that dissolves oil. For tough spots, you can also use a domestic power washer. Use the washer at an angle so you don’t weaken the stones. Once you are finished cleaning the area, replace any joint sand that may have been washed away. To help prevent future stains, you can apply a sealer to the top of the stones as well as in between the joints to stabilize the sand. The sealer will also help retain the color of the pavers as it helps protect the stones from the UV rays. If you want to prevent the buildup of weeds, moss and algae in the joints of your stones, use a weed killer a couple times each year. It’s best to spray the solution when the weeds are in the growing phase. This is typically during the spring and summer months. Pull any visible weeds before spraying the weed killer. Many paving stone varieties can be laid on top of a geotextile mesh that helps with preventing the growth of weeds. These screens are used in conjunction with soil sterilizers, which kill any unwanted organisms like weeds. If any weeds grow through the screen, you can easily eliminate them by spraying weed killer in the joints of the stones. Brick stones are made of clay, which is extremely strong. Cracking or breaking is rare, and damage usually occurs only when heavy weight is applied to the brick. Bricks that have settled should be left alone if the crack isn’t conspicuous. For noticeable or large cracks, you can remove the individual brick and replace it with a new one. The vivid coloring of natural brick stones typically doesn’t fade easily and the surface resists most stains. However, clay stones can develop efflorescence, which is a white, powdery deposit that often appears after a rainfall. This chalky substance can often be removed with a brush and some water. Other stains may require more effort. 1. Sweep away dust and surface debris regularly. 2. Use a mild detergent and warm water to rinse off grime. 3. Scrub minor stains with a stiff brush and hot, soapy water. 4. Use a pressure washer to remove major stains. 5. Apply a coat of sealer every few years to maintain surface color. Concrete paving stones are easy to maintain, and many stains are imperceptible against the colors of the concrete. You can sweep or blow away any surface dirt and use a hose to rinse away mud or small stains. Run a pressure washer over the stones regularly in order to remove any damaging debris. Concrete stones should be sealed every couple years in order to maintain the color, prevent staining and to stabilize the joint sand. Twice a month, inspect your stones for damage or cracks. This will ensure your pathway is safe to walk on. If the crack is large, it may be better to replace the individual paver rather than fix the crack. Concrete stones are easy to replace, and it is often the less costly option. Paving made from natural stone is durable and long-lasting. The different varieties vary in density, so some types may damage more easily than others. One of the main problems with stone is that it may have an uneven surface. You can avoid any safety issues by polishing the stone every couple years to smooth out the texture. A stone pathway is easy to clean, and most stains can be removed with a scrub brush and hot, soapy water. Weeds tend to grow easily between the joints, so it is a good idea to use a pesticide regularly. Treating the stone with a sealant may also prevent weed problems. Preventative maintenance is essential for stone so the structure remains strong. 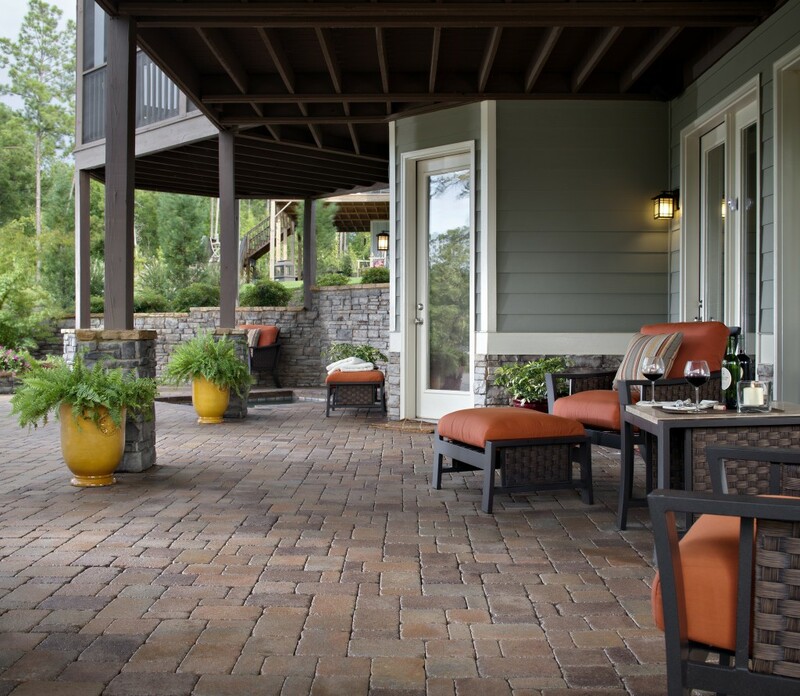 Because your outdoor living space is the first thing anyone sees when visiting your home, the look of your walkway or patio should be eye-catching and impressive. With regular care, you can easily enhance the appearance of your paved pathway and extend its life. Install It Direct can provide you with tips on how to keep your stones in pristine condition. 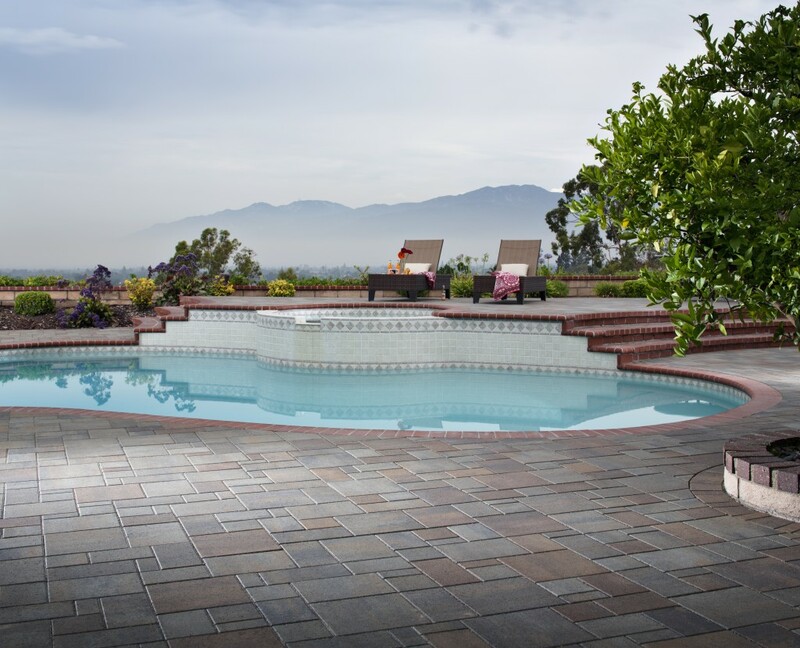 Join our mailing list or sign up for a free estimate on a variety of paving stone options.